Meet Connie - a mental health advocate who loves the korean culture (which is blooming amazing if I say so myself). She runs a great blog talking all about the importance of mental health, travel and so much more so don't forget to send her some love! Summer is here and its brought all of its delights with it. And for me that means I’m way more sweaty then I’d like, my hay fever plays up and I get all hot and red in the face. I’m sure many of you feel the same way. BUT FRET NOT! 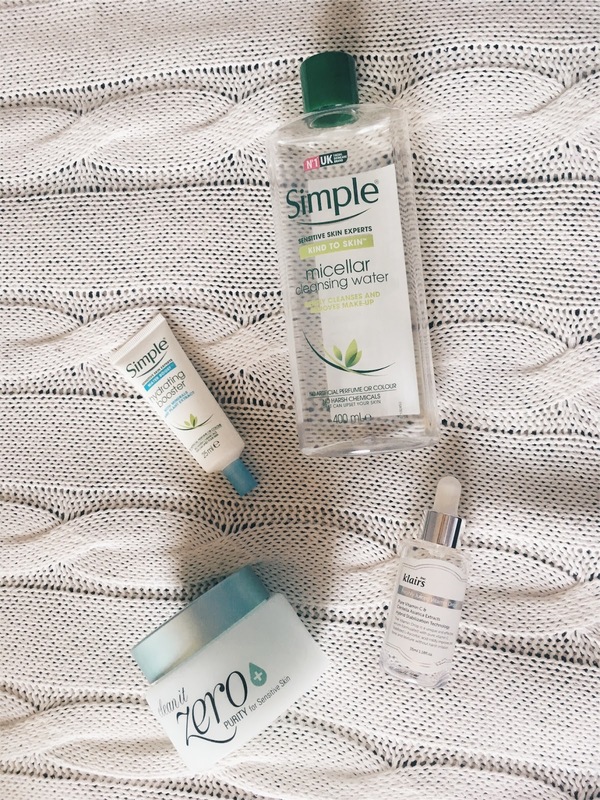 I have 4 products that I swear by in order to make flawless summer skin a bit more attainable. 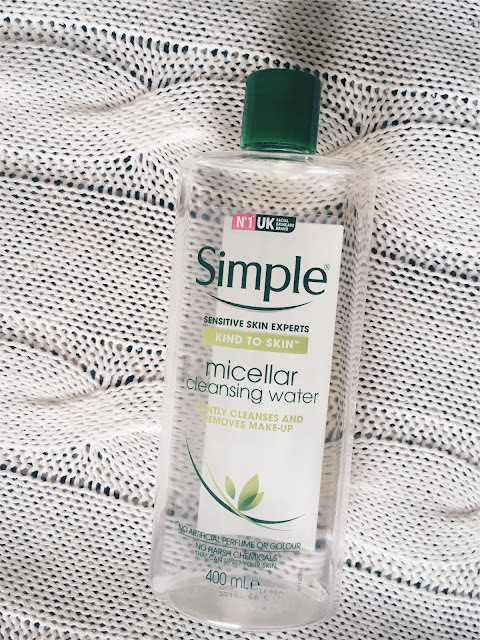 1) Simple Micellar Cleansing Water. This is perfect for a first step to cleanse at the beginning or end of the day, just to take off that first layer of dirt or sweat that might be making your skin feel so grimy and generally unpleasant. Pour some onto a cotton pad and just give your face a quick wipe down before then washing your face properly and it acts as a nice pre-cleansing step. I also use it when I’m working from home and I feel like my face needs a quick refresh, but I always make sure to reapply my SPF moisturiser afterwards. You can also use this product as part of a home-made sheet mask. Take three cotton pads and split them in half so that what you end up with is six thinner cotton pads. Soak the thinner pieces with the Cleansing water and place on your cheeks, eyes, forehead and chin and let them sit for about 20 mins. It helps remove my make-up effectively, hydrates my skin and makes the best of the vitamins in the formula. I like to use this micellar water on two cotton pads on my eyes if I’d had a particularly bad hay fever day cause my eyes always end up so sore and dry. So as well as removing my eye makeup, its soothes and cools down my poor eyes. 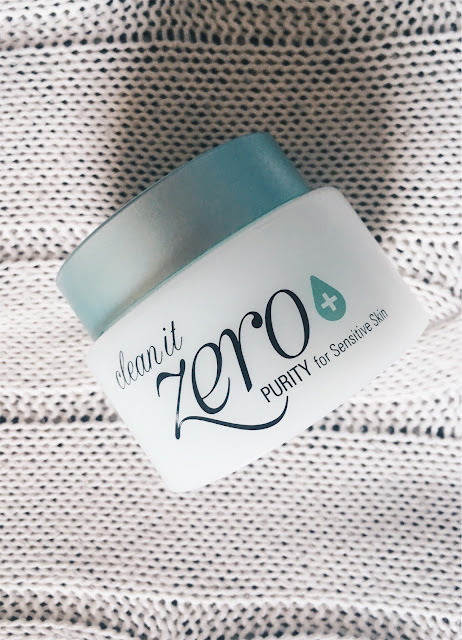 2) Banila Co. Clean It Zero purity for Sensitive Skin. Ahhhh. My Love. My Precious. My Oil Cleanser. It’s a Korean product which you can order off Amazon and it lasts an age so its worth waiting for. At first I was reluctant to use an oil cleanser cause I do suffer from a particularly oily T zone, which only gets worse in the hot weather. However, I was firmly advised to invest in a good oil cleanser, as if I only stripped oil the oil from my skin it’d overcompensate for the oil lost and produce more. By combating oil with oil, I actually end up with healthier, happier skin. The sensitive formula means that it’s gentle too. This cleanser is great for removing all the rest of your makeup, for getting the gunk out of your pores after a long summers day and you don’t need to use very much for it to work. Either use the handy applicator to remove some of the solidified oil from the tub, or if your hands are clean use your hand, use the heat from your hands to melt the oil and make it liquid and then gently massage it over your face. I don’t use much around my jawline or hairline as these areas don’t need any more extra congestion. After massaging all over your face, use a little warm water to emulsify, and continue to massage your face. After emulsifying, wash of with warm water and make sure you remove all the oil by using a damp, warm facial flannel or wash cloth. I love this product and there are loads of other cleanser options from Banila so do go and check them out. 3) Klairs Freshly Juiced Vitamin C drops. My next favourite product is this tiny but powerful little bottle of skin goodness. I don’t like wearing much makeup, and in the summer I try and avoid foundation altogether if I can. However, in order to do that I prefer to feel confident about the health and overall tone of my skin. Using these drops in the morning and in the evening has literally transformed my skin. My skin feels so much less pigmented and inflamed. I feel like my skin even has a better texture, its so smooth and has a healthy, dewy glow to it. 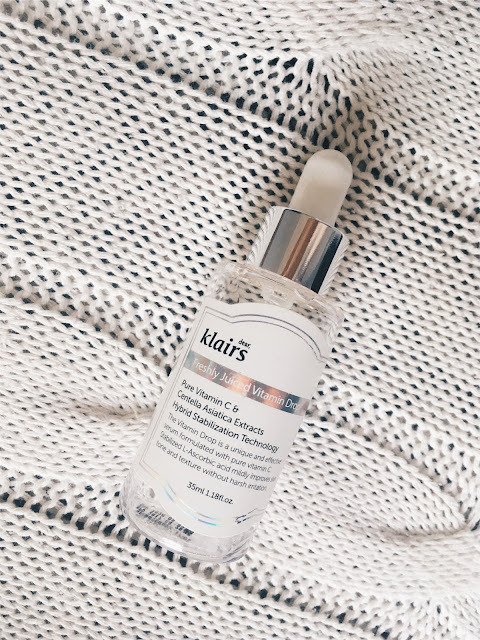 When I first used it, I was a little alarmed by the tingling sensation, as I had used products that made my skin tingle before and they always made my sensitive skin react badly. But after a lot of research I realised it was nothing to worry about, and that if I was really worried I should just reduce the amount I used. I absolutely love these drops and would recommend them to anyone wanting to get naturally happy and healthy looking skin. Hay fever means my skin is so dry, itchy and sensitive. Plus, blowing my nose and wiping the tears away from my watering eyes means I get very red, dry areas on my face. Not ideal. This extra boost of hydration is just perfect to counter that. 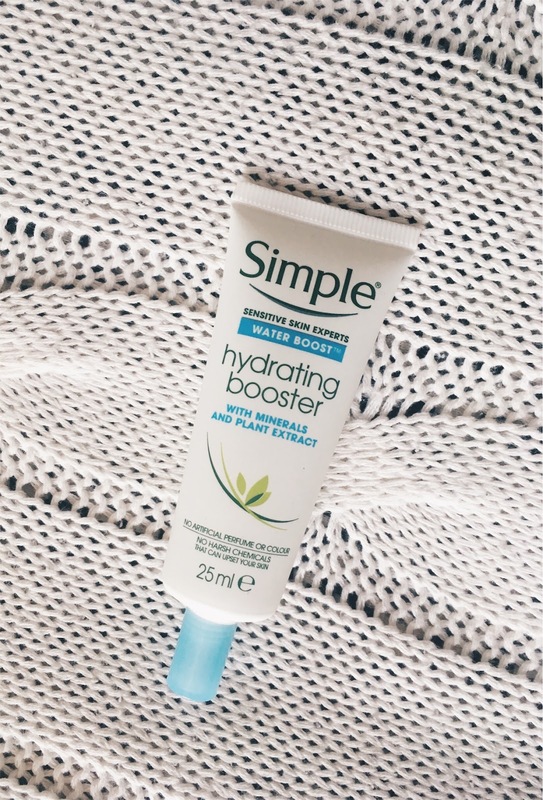 Either mix the booster into your creams or moisturiser or apply directly to the problem areas and your skin will thank you for it. In the heat it’s important to stay hydrated, both through drinking water and through caring for your skin. 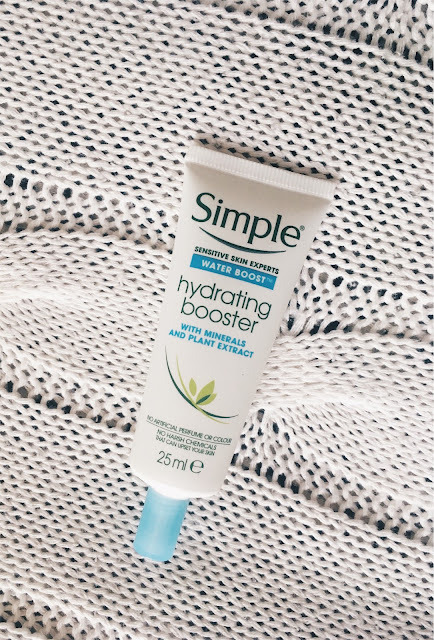 I like to mix this in with my SPF daily moisturiser in the morning and at night I apply directly to the areas that have been struggling throughout the day so that it can heal and hydrate my skin overnight. Its fab. You can also use it as a hydrating primer if you’d rather have a pre-existing layer of hydration before you apply the rest of your skincare or makeup. So, those are my 4 favourite products that I am using this summer in order to improve and maintain my skin. 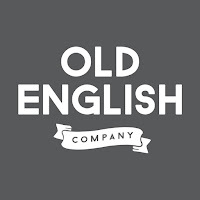 I’m sure you guys have some other suggestions too so please do let me know, either leave a comment here, or head over to my own blog connieunkiga.com and leave a comment there. You could also find me on Twitter, Instagram or Facebook at @connieunkiga. Please do say hi, I love chatting to people who’ve read my posts. Big love to Cheryl for letting me write a post on her awesome blog, and be sure to check out her post on my page which goes up tomorrow. Thanks, and I will see you soon. Shout out to Connie for such an amazing post! 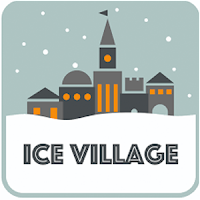 I hope that you guys enjoyed it and if you're interested in guest blogging on my space, please reach out and I'm sure we can work something out! Meanwhile, don't forget to head over to Connie's blog and check out my updated skincare routine ad the products I use and why I do a skincare routine religiously!